I love using my Cricut, I had the Explore Air 2 before getting a Maker about a year ago. One of the questions I have heard a lot both in person and online is people wondering if the Maker is worth it, or how to know which machine to choose. 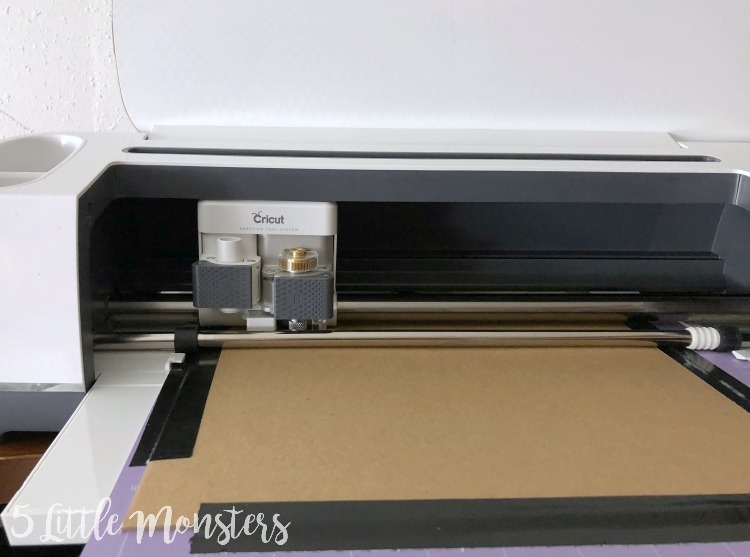 The truth is they are both great machines, which one is right for you really depends on how you plan to use your Cricut. 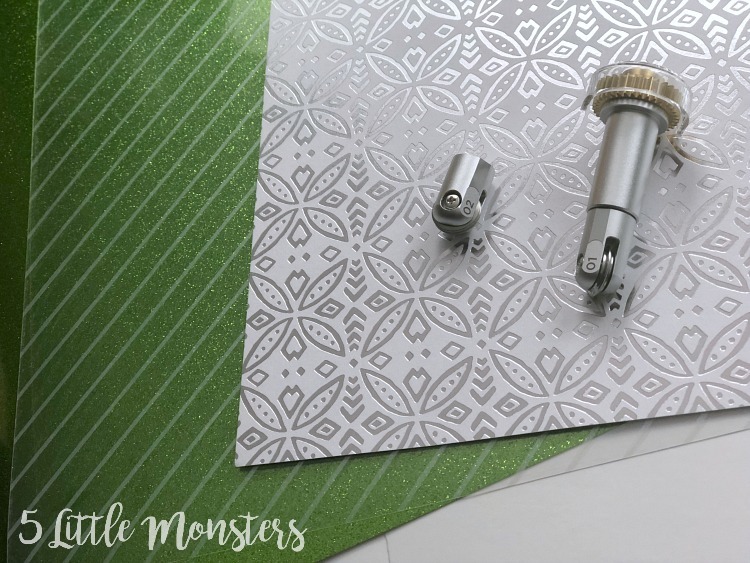 Today I am going to share a bit about why I love the Maker and share a project that I made that uses all of the tools currently available for the Maker's adaptive tool system. The biggest difference between the 2 machines has to do with the tools that you can use and the materials they can cut. Both machines can use both the standard fine point blade and the deep cut blade. The fine point blade comes with both machines and is the one I use most often. It cuts vinyl, iron on, cardstock, paper, etc. The deep point blade can cut slightly thicker materials like stiffened felt, cardboard, thin leather, and craft foam. The Maker's adaptive tool system has other blades and tools that you can use only on the Maker, these are the ones that have the little gear piece at the top and currently include the rotary blade, the knife blade, and the scoring wheels. I used all of these in the project I made for this post so that I could show what each of them do and how you can use them. Let's start with the rotary blade. This was the first blade released for the Maker and actually comes with it when you buy the Maker. I use my rotary blade all the time. It is my second most used blade after the fine point blade. With the rotary blade you can cut all different types of fabrics as well as delicate materials like tissue paper. 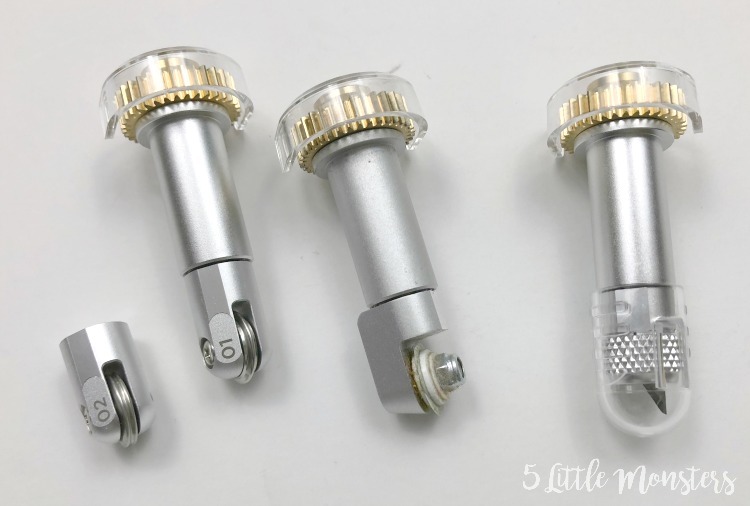 It is great for cutting out fabric pieces for quilts, small stuffed toys, bags, and more. But the thing I use it for the most, felt. I love that it cuts my felt shapes so smoothly and quickly. I love using it to cut out felt flowers. In this project I used the rotary blade to cut a simple bow out of felt. I also used the fine point blade to cut out glitter iron on that I pressed onto the felt to make the bow glittery. Next let's talk about the knife blade. This is actually my first time using the knife blade although I have been wanting to give it a try for a while. It can cutter thicker, heavier materials, like balsa or bass wood (up to 3/32" thick), heavy chipboard, or thicker leathers. The knife blade takes longer to cut than any of the other blades because it does multiple passes. 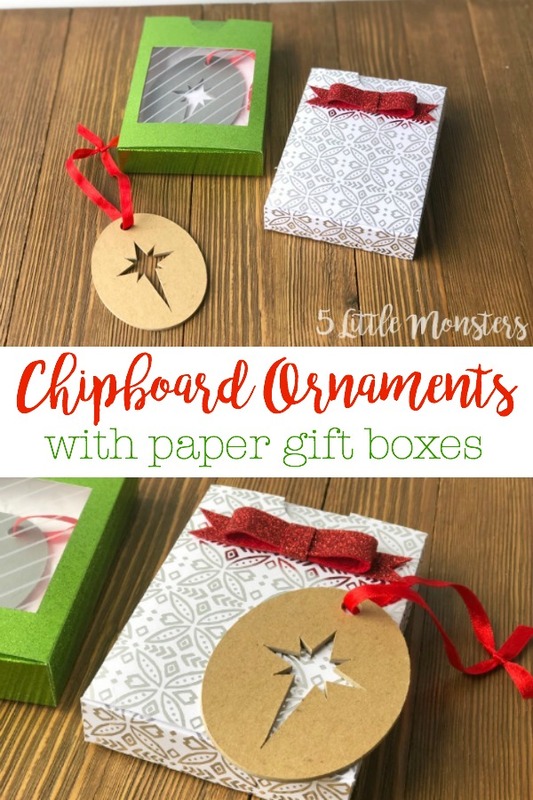 The ornament I made for this post is simple enough that it didn't take too long, but some larger, more complex cuts can take a lot longer so be prepared for that when you go to cut. In this project I used the knife blade to cut out the ornament. I wanted to start with something relatively simple so I just sliced a star out of an oval to make a Christmas ornament. I used Cricut brand heavy chipboard (2mm). It cut really well although it didn't take as many passes as it said, I stopped it after 12 or 13 out of 20 and it was perfectly cut. If I let it keep going it probably would have cut through the mat so you do need to be careful about that. The scoring wheels are another tool available for the Maker, they come in a single and double wheel version. 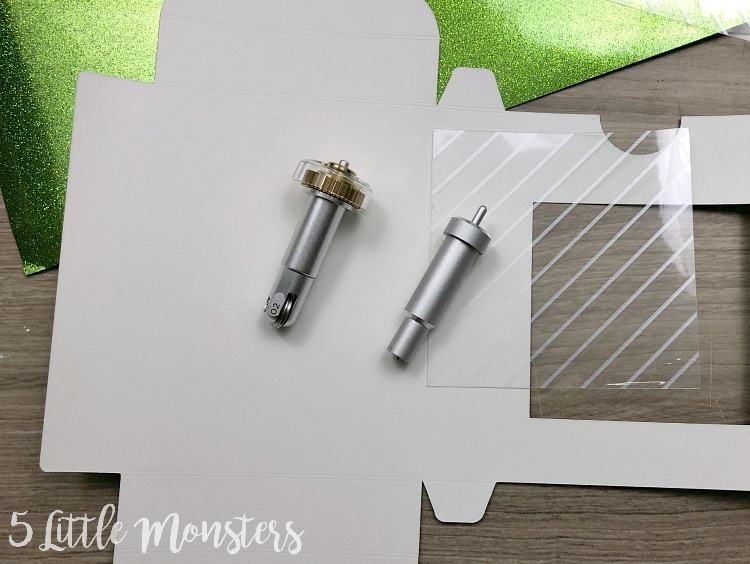 These replace the scoring stylus, which you can still use in both machines, but the scoring wheel gives more pressure to give you crisper, cleaner fold lines. The scoring wheel is great for thinner materials, I used mine to score the fold lines on the box made out of foil embossed paper. I then used the fine point blade to cut the paper. It created a single crease line so that I could easily fold and assemble my box. The double scoring is great for heavier materials. I used the double scoring wheel to make the fold lines in the glittery green box made out of Cricut's sparkle paper. When using the double scoring wheel you put your material right side down on the mat and score on the wrong side. It makes 2 parallel creases to help those heavier materials fold perfectly. Again I used the fine point blade to cut out the box as well as a small piece of foil acetate to make a little window in the box. All of these tools allow you to cut and score so many different material and therefore make a huge variety of projects. It was kind of neat to be able to make not only a Christmas ornament out of a nice thick, sturdy material, but also to make a cute little box to hold it in. And all with the same machine. 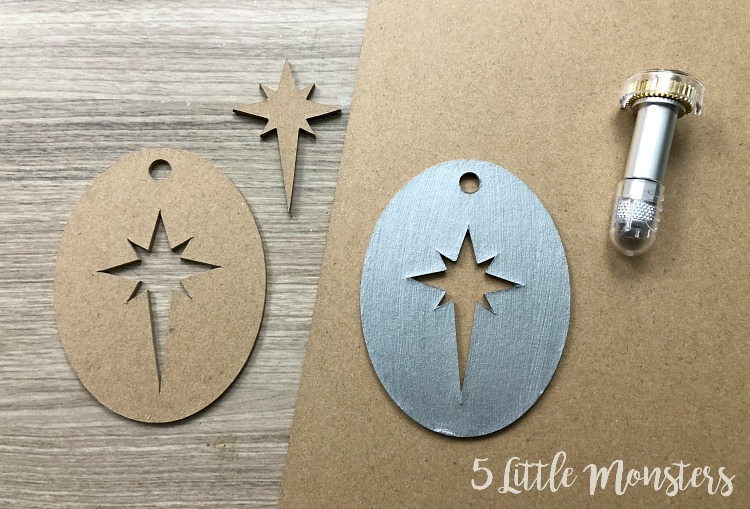 Packaged up in pretty little boxes these simple ornaments would be perfect small Christmas gifts. You can make your own by following the tutorial below. 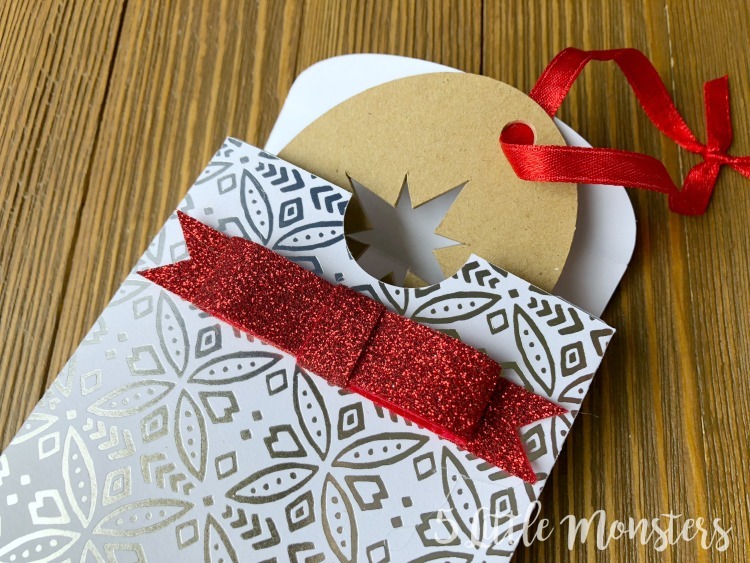 Open the Ornament with Box Design Space File. 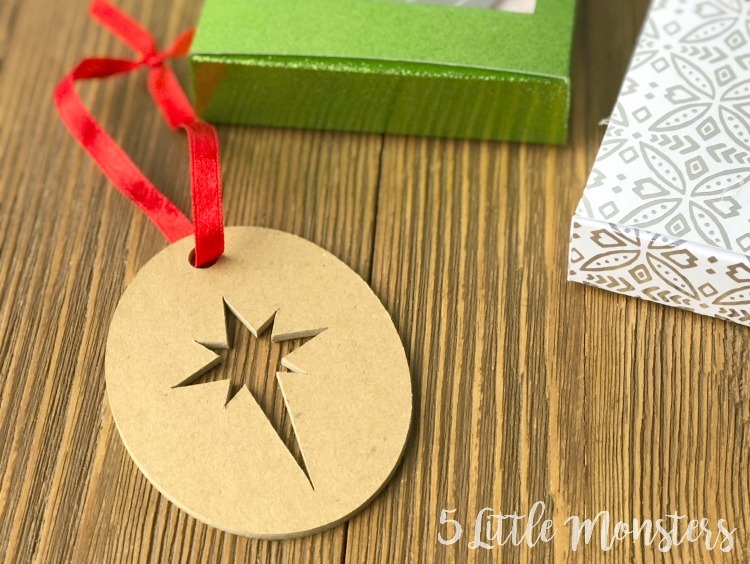 Cut the ornament from heavy chipboard with the knife blade. Use the strong grip mat and tape the chipboard around the edges to ensure that it stays in place. Move the white star wheels to the right side. Begin checking about halfway through the passes to see if your ornament has cut completely. I ended after about 13 passes out of 20. I cut two but I cut them one at a time. Once the first was finished I just edited the mat to move the design to an uncut portion of my mat and then cut it a second time. 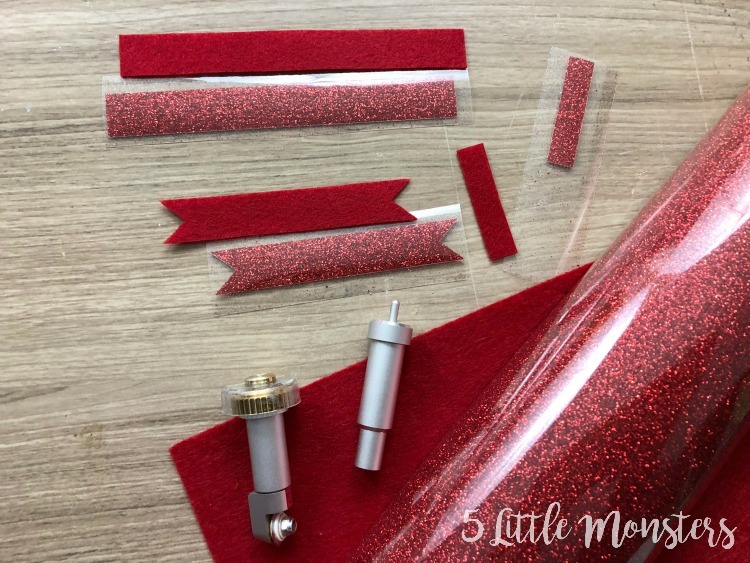 Cut one of the bows (red and dark red) out of felt using the rotary blade. 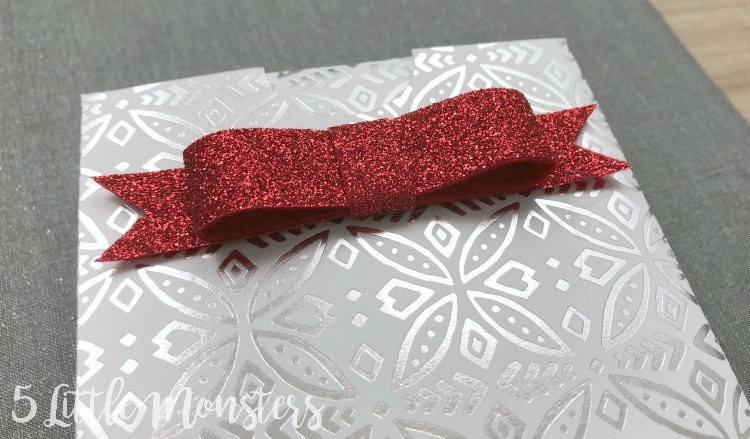 Cut the other bow out of glitter iron on using the fine point blade. Cut the light yellow box out of foil embossed paper using the scoring wheel and fine point blade. Cut the green box out of sparkle paper. 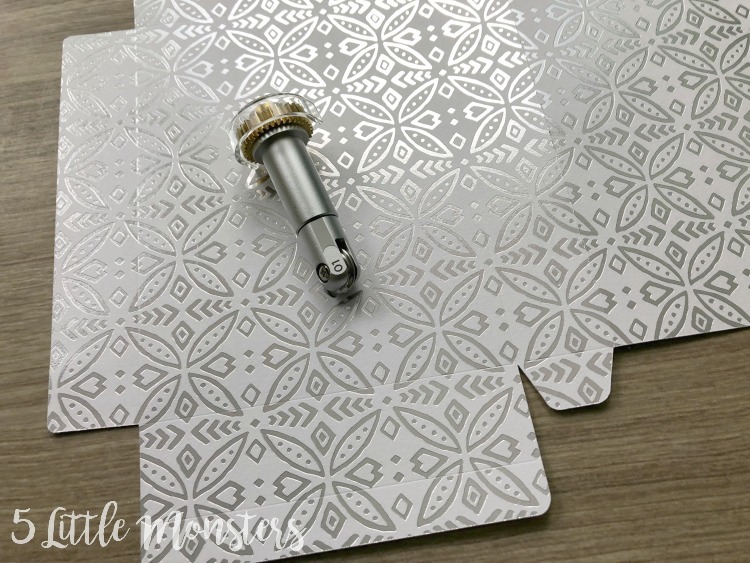 Place the paper right side down on your mat and cut using the double scoring wheel and fine point blade. Cut the white square from foil acetate. You can choose to leave the ornament plain, or you can paint it. I cut out 2 ornament and I left one plain and painted the other with a brushed metal silver paint. Cut ribbon for hanging and tie them through the holes in the top of the ornament. Fold the boxes on the scored lines. 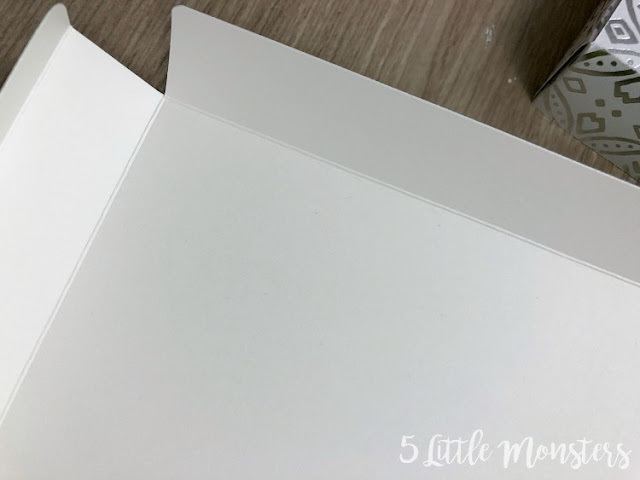 Glue the acetate square to the inside of the box with a window. Glue along the long edge of both boxes and tuck in flaps to finish. Make the bow by first pressing the iron on pieces onto the felt pieces. I used an EasyPress to do this. Fold the long rectangle in half and glue in the center. Place the folded piece onto the notched rectangle and glue in the center. 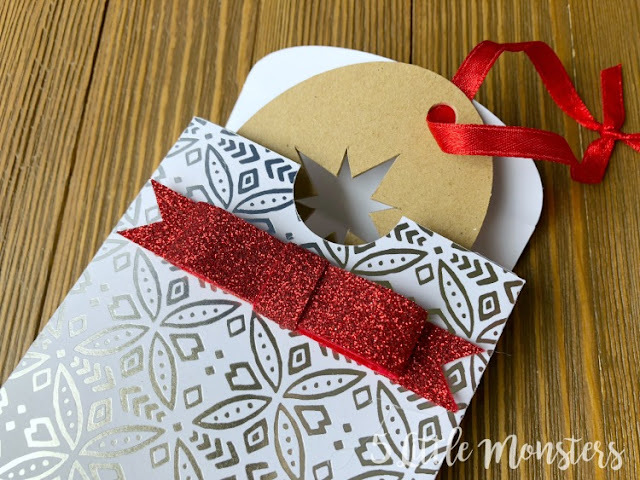 Wrap the smallest piece around the center of the bow and glue in the back. Glue the bow to the front of the box. 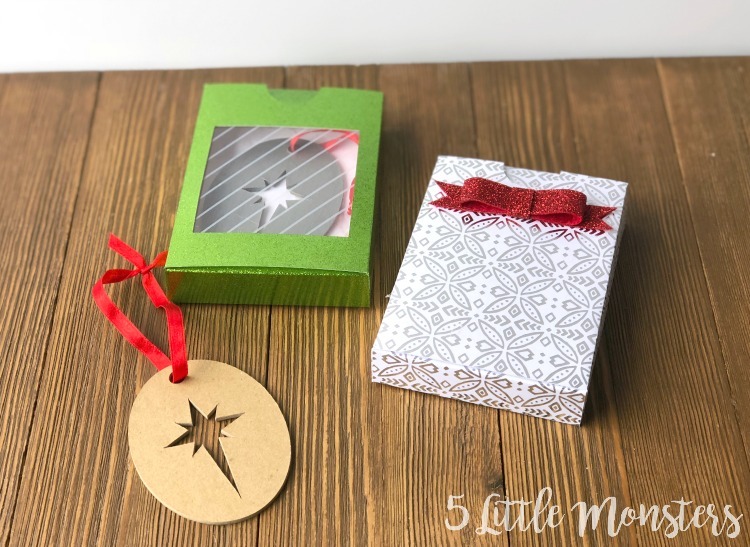 Put your ornament(s) inside the boxes, you may want to add a tiny bit of tissue paper, and you have a cute little gift, ready to give.